With Arsene Wenger and Andrey Arshavin speaking with the media yesterday lunchtime, there are lots of different pieces of news to cover. 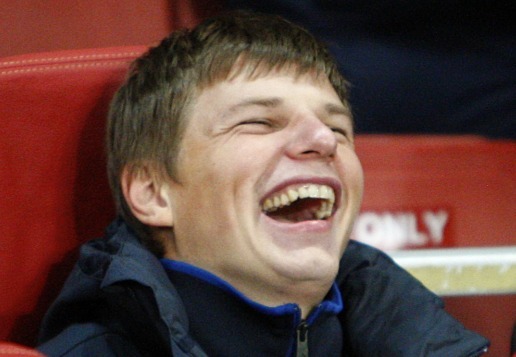 It appears that after my concern of whether Arshavin would sign a new deal, the Russian hasn't gone about clearing up the rumour that he'll leave Arsenal by refusing to commit his future to Arsenal. The attacker's contract with the club expires in the summer of 2012. "I don't know. If we were talking about one week then I would say 'yes'. But five or six years? I don't know. Who knows. "The English league is the best and everyone dreams of playing here." He'll be 32 when his contract with the club expires. And we all know what kind of deals Wenger offers players who reach that age - apart from if your name is Mikaël Silvestre. Obviously it is up to the club first to offer Arshavin a new deal. Then it's down to Arshavin if he wants to stay and if he does the negotiations will start. I would hope the club are as keen as us supporters to see Arshavin tied down to a longer deal. It will no doubt mean a pay rise but I think personally he's worth it and it's not as though the club cannot afford it. The other player everyone wants signed up to a new deal is Samir Nasri. It appears the club are to go all out to ensure the long term future of the 23-year-old is in north London. A five year contract is being talked about worth £80,000 a week. And on his current form it's no more than the Frenchman deserves. "It looks to me he has made the right decision when he decided to join us, so it would be the right decision for him to stay with us." It appears Cesc Fabregas could be in contention for a start at Old Trafford on Monday after Wenger revealed the Spaniard and Abou Diaby had returned to training. A couple of transfer rumours circulating this morning. The Daily Mail says we're set to sign Dinamo Zagreb's teenage defender Sime Vrsaljko. Whilst they also report Middlesbrough are going to offer goalkeeper Jason Steele a five year contract to ward off our interest. It appears that Norwich are keen on extending the loan of Henri Lansbury. By all accounts I've read he's done very well there and has been head and shoulders above his team mates. Instead of staying in East Anglia, perhaps a move to a Premier League side on loan would be a better option for his development? And that's about it for now. I'll post my thoughts on who I think Arsene Wenger will pick in his starting line up for tonight's Champions League game with Partizan Belgrade later. Until then, enjoy your Wednesday. Follow Ashburton Grove on Twitter, chatting Arsenal throughout the day. To receive the blog everyday you can subscribe via e-mail or take the RSS feed to your favourite reader.